Obsessive-compulsive disorder (OCD) is a mental condition that is commonly believed to affect only adults. However, this disorder can also potentially affect children as well. There are similarities between adult-onset and childhood-onset OCD, but there are also important differences that parents of children with the condition should be aware of. Approximately 1-3% of kids in the United States will develop OCD in their childhood. Obsessive-compulsive disorder is considered to be “childhood-onset” if the symptoms begin to occur before puberty. The average age for children to develop OCD is around ten, however children as young as five or six can also begin to show signs for this disorder. OCD in children can be more difficult to diagnose, both because children may not fully understand their obsessions and compulsions, as well as because they may find it more difficult to express to adults what kinds of thoughts they are having. The content of children’s obsessions can also be slightly different than that of adults with OCD. For example, many children will experience obsessions related to the death of their parents, with other rituals and compulsions likely to be centered around other family members as well. Children are also more likely to hoard items than adults with obsessive-compulsive disorder. Additionally, the compulsions that come along with these obsessions often involve grooming rituals, repeating rituals, checking rituals, touching rituals, ordering or arranging objects, counting rituals, cleaning rituals, and hoarding or collecting items of no apparent value. Although the exact cause of OCD, both in children and adults, is unknown, doctors and researchers believe that it has to do with levels of serotonin, a chemical found in the brain. When the flow of serotonin is blocked, it causes the brain to overreact and misinterpret information, causing the person to feel unrealistic fear and doubt. Genetics seem to play a big part in developing OCD as well, according to the most recent research. It is common for people with OCD to have one or more family member with the condition or a different mental disorder that involves serotonin production. It is important for parents to know that obsessive-compulsive disorder is not something that they or their child could have caused, or something that they could have prevented by being better parents. This disorder has nothing to do with the environment the child is raised in; it is caused by factors that are completely out of the parents’ control. However, certain stressful situations, such as starting school or the death of a loved one might trigger or worsen the symptoms of OCD in a child who is already has it or is prone to developing it. Similarly to adult-onset OCD, treatment for children will generally include a combination of medications including selective serotonin reuptake inhibitors (SSRIs), and cognitive behavior therapy (CBT), either in an individual or group setting. However, the biggest difference for treating childhood-onset obsessive-compulsive disorder is that the parents’ involvement is very important. 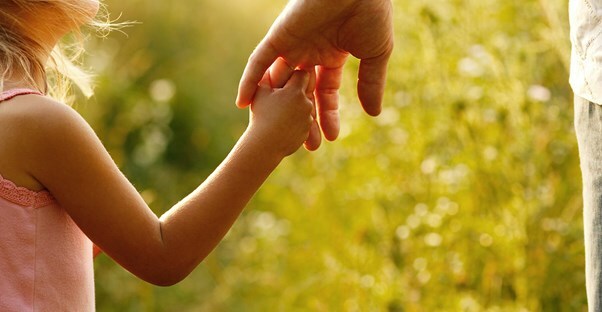 Research shows that parental involvement is a strong predictor of the success of treatment.